Media Monday: Alan Jones is airing a regular radio show on Brisbane’s 4BC, ABC’s coverage of the AFC Asian Cup Final reaches 5.3 million fans across all channels, ABC dominates the AACTA Awards, and Nielsen announced changes to its IAB online ratings. 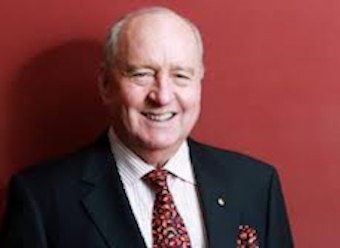 Shock jock Alan Jones is expanding his reach into Queensland, launching The Alan Jones Hour on Fairfax Radio Network’s 4BC in Brisbane. Fairfax has announced Jones’ controversial style of political commentary and interviews will become a regular feature on 4BC after the “huge success” of his daily coverage of the Queensland election on the station. The ABC is reporting that its live coverage of the AFC Asian Cup Final between the Socceroos and South Korea reached 5.3 million people across Australia. Aired on ABC TV and iView, the match resulted in the Socceroos becoming AFC Asian Cup 2015 champions with a 2-1 victory over South Korea in extra time. The audience figures peaked at 10.27pm with 3 million metro and regional viewers on ABC TV, while the match had an average audience of 1.8 million. Sydney had the highest average audience with 503,000 viewers and a 32.6% TV network market share. 52% of the metro audience was aged under 50. The match was live streamed 43,000 times and the first half was viewed via ABC iView 12,600 times. ABC TV’s post on Facebook announcing the Socceroos as the winners reached more than 144,300 people and attracted more than 7,700 likes and 1,007 shares. The network reached 420,000 people on Facebook, Twitter and Instagram combined. The ABC won nine out of the 12 TV awards presented at the 2015 AACTA Awards (The Australian Academy of Cinema and Television Arts Awards). best performance in a television comedy – Debra Lawrance, Please Like Me. daily audience measurement in 2016 (up from its current monthly reporting cycle).